As we were heading for the Kruger National Park from the Golden Gate NP in the Free State, we had the choice of either sticking to the beaten track or driving through Swaziland. I was quite keen to explore the latter route since I was curious to get a feel for the smallest country in the Southern Hemisphere. We entered Swaziland in the south-east at the Lavumisa border post near Pongola. It’s a big and reasonably busy, but nevertheless efficient border post. 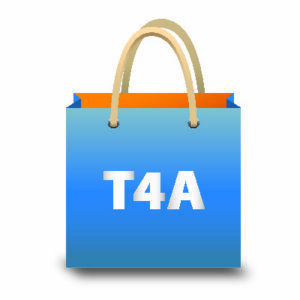 We spent most of the hour it took to declare our electronic equipment at the Customs counter as we exited South Africa, as we have learnt that it is best to do this when you leave SA in order to avoid paying import duty upon your return. The competent and friendly official was meticulous in describing all the equipment, with values and serial numbers, on the computer system. For the first time we were provided with a comprehensive printout on a SARS (South African Revenue Service) letterhead which we could keep for future use when we enter or exit SA. It is nice to know that SARS is at last so technologically advanced that we no longer have to declare all our valuables each time we cross a border. Entering Swaziland was reasonably painless and the only fee we had to pay was R50 for a Temporary Import Permit for the vehicle. Even though the official who searched the vehicle indicated that we needed a permit to import meat into Swaziland, she said that she would ‘this time’ let us through. To be honest, I didn’t really expect much of this kingdom and was therefore pleasantly surprised to see the extent of agriculture amongst the dry bushveld thorn. 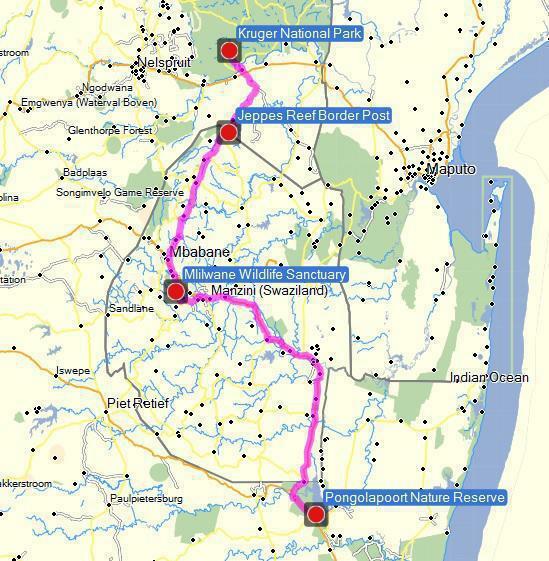 We passed big bright green fields of sugar cane and colourful bougainvilleas lining the MR8 main road going north. 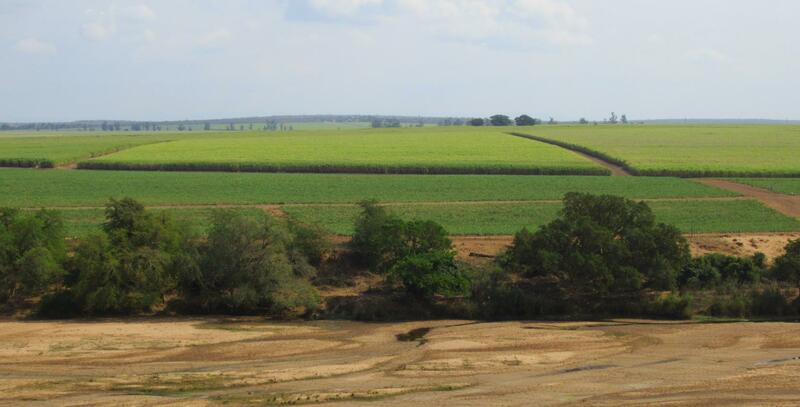 Sugar cane seems to comprise most of the agriculture in the south-east of Swaziland; we passed many of these irrigated fields, a distillery making cane spirit and a sugar mill. Passing by big sugar cane fields. We found that it is possible to pay with South African rand everywhere and that this currency is at parity to the local currency, the emalangeni. You can pay for fuel by credit card, but not all fuel stations have facilities for electronic payment. Also, 50ppm diesel is not available everywhere. 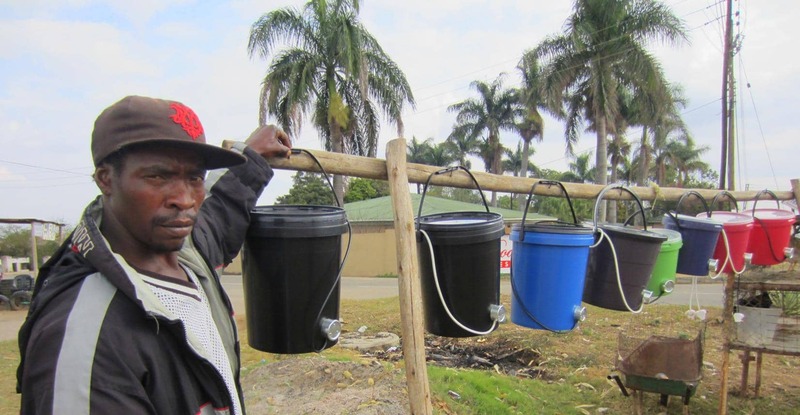 An entrepreneur selling plastic buckets with electric elements. Although the condition of the tarred road was good, the going was slow. The speed limit in Swaziland can rise to 120kph but is generally 60 or 80km/h, with ferocious speed humps being used frequently to slow vehicles. Sondzela Backpackers got raving reviews on Tripadvisor and so we intended to camp there. 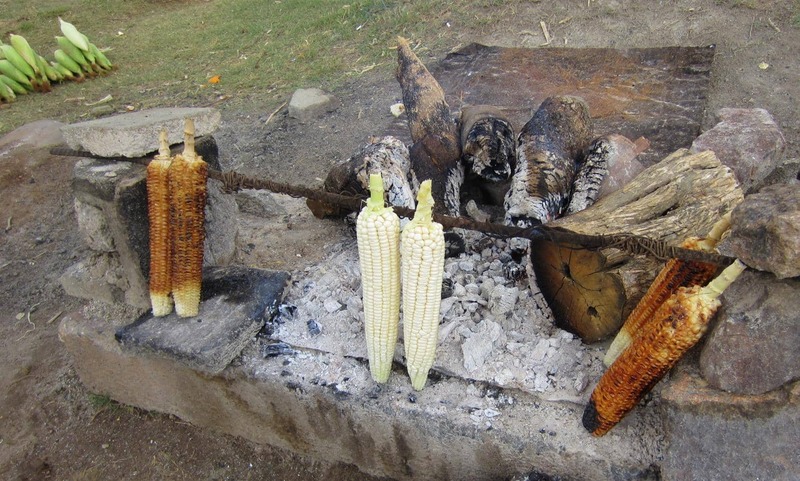 Shortly before we reached that destination, we stopped at Malandelas, a Bed and Breakfast/Restaurant and a tourist hub which also offers an internet café and tourist information. The whole complex has an arty feel to it and the tables of the restaurant are set under large shady trees. 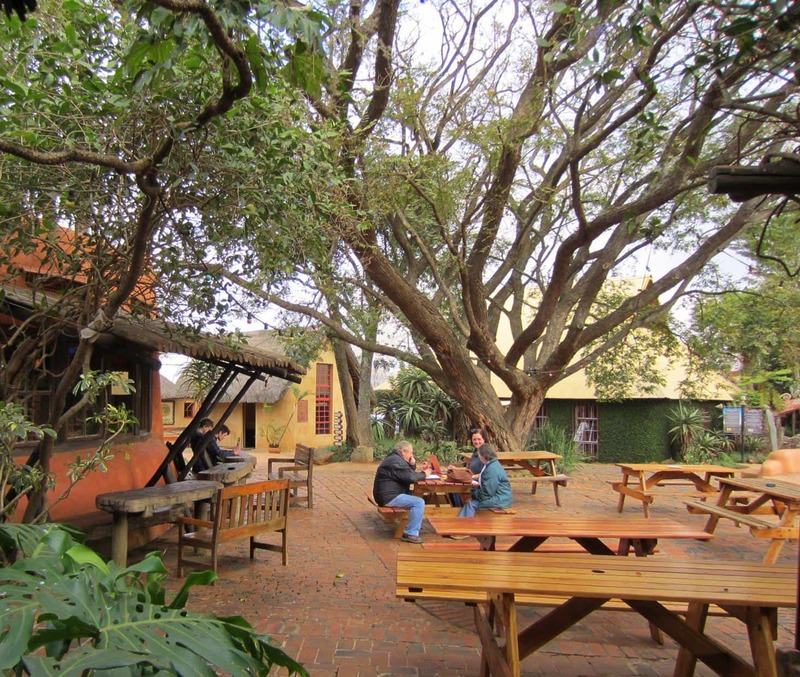 Seating under majestic trees at Malandelas restaurant. The friendly gate guard at Sondzela referred us to the nearby Mlilwane Wildlife Sanctuary as no vehicles were allowed on the Sondzela grounds, which meant that we would not be able to use our beloved rooftop tent. We arrived at Mlilwane in the late afternoon and were greeted by a warm and welcoming Swazi lady. The entry fee to the sanctuary, which was proclaimed in 1964 and is under patronage of King Mswati III, is only R40 per day and, with camping at R105 per person per night, it is extremely reasonable. Mlilwane, which is Swaziland’s oldest game reserve, is owned and managed by a non-profit making trust for the benefit of nature conservation and the benefit of the people of Swaziland. The more than 20 000 snares found in the sanctuary on display. 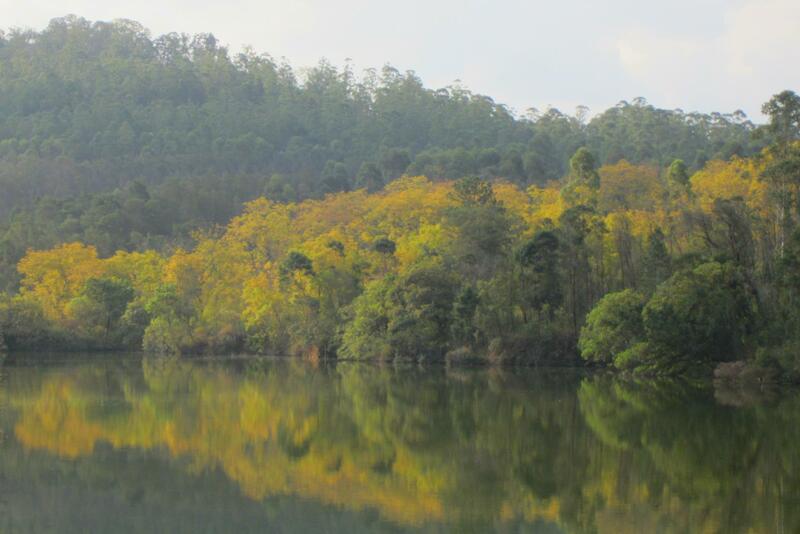 Trees reflecting in the Mlilwane dam. 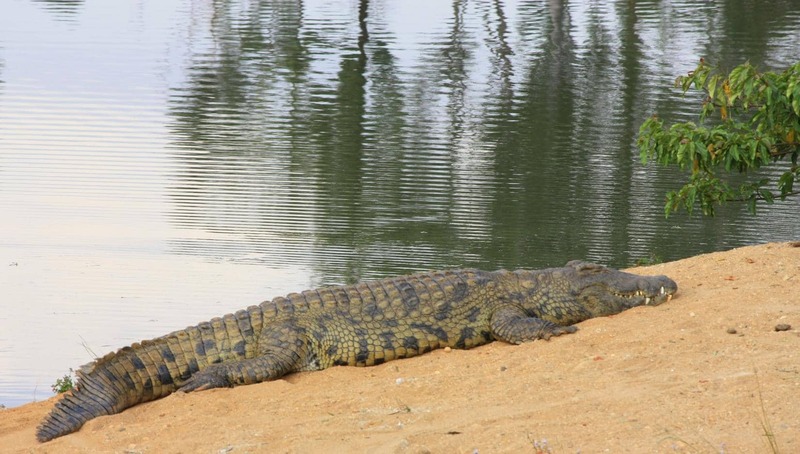 One of the resident crocodiles. As it is not home to the Big Five, visitors can bike, walk or ride on horseback close to zebra, wildebeest, antelope, hippos and crocodile. 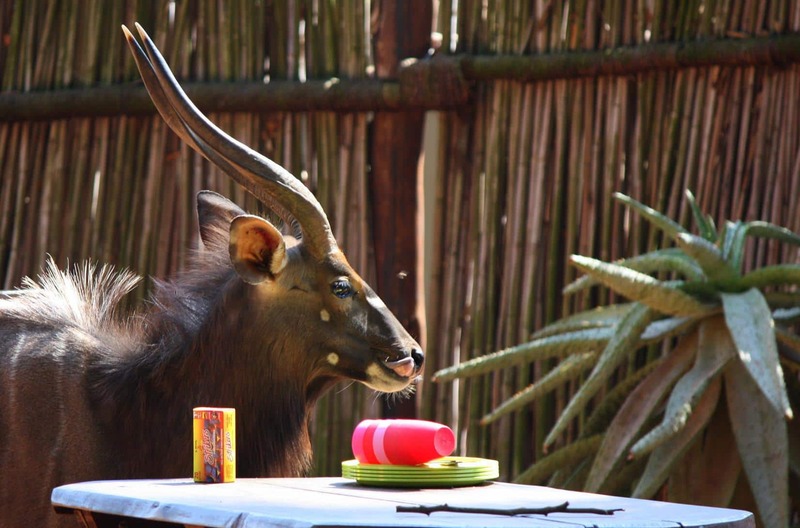 I am not big fan of canned game viewing like this, but must admit that I thoroughly enjoyed the nyala walking through our camp and particularly the warthog family that lay snuggled up around the communal camp fire at night. 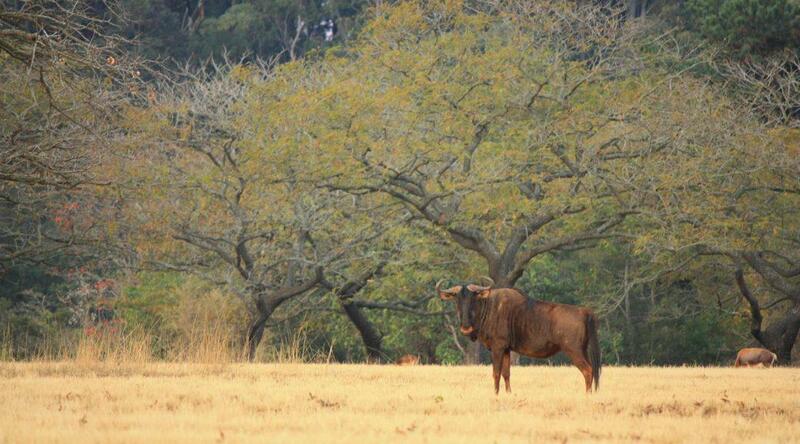 A nyala bull walking through camp. 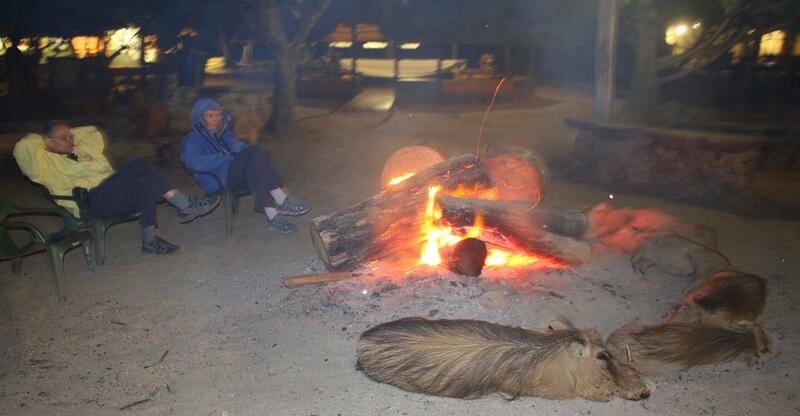 The warthog family takes the front row around the communal campfire. 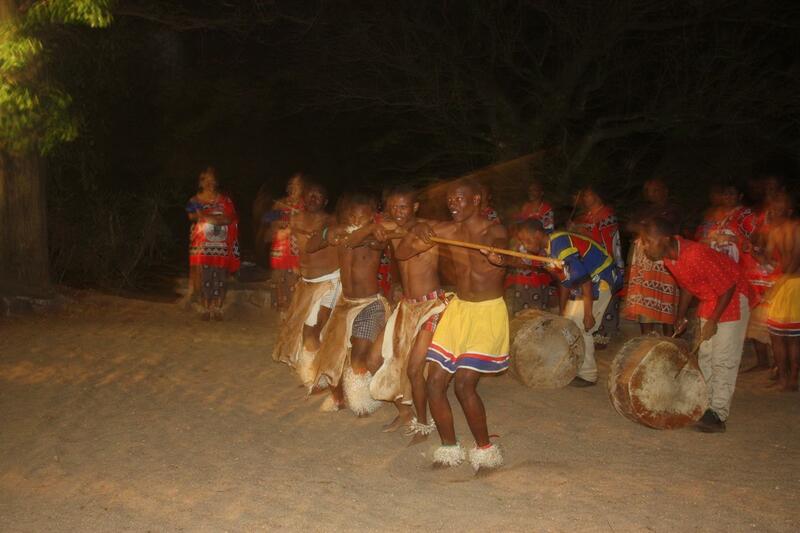 With the excellent facilities (it also offers accommodation in Swazi grass beehive huts and a restaurant), activities like tribal dancing and the game experience it is no wonder it is so popular among foreign tourist groups. Although the campsite was a bit too busy to our preference, we thoroughly enjoyed our well shaded stay. 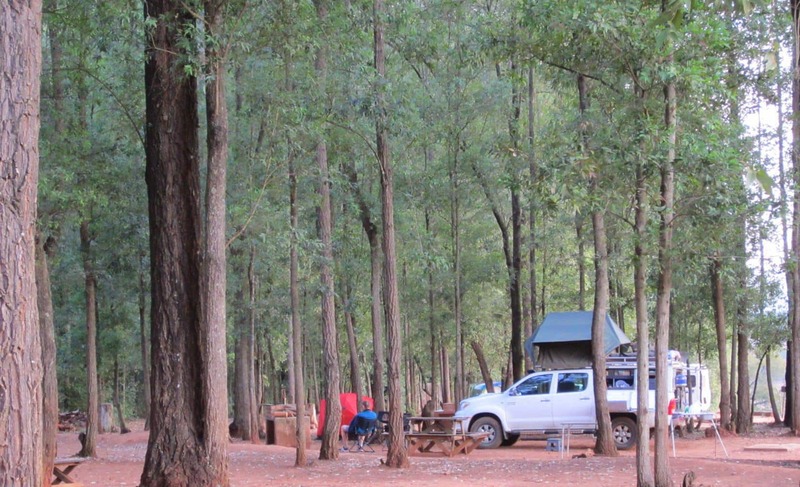 Camping in a Eucalyptus forest. Swaziland seems to be more developed and in touch with the outside world than Lesotho, and this was also evidenced by the Convention Centre and 5 Star Hotel that is going up at Ezulwini, not far from the Mlilwane Wildlife Sanctuary. As we needed to make up some travel time, we preferred to use the MR3 highway to bypass the Mbababane city centre and found it to be in excellent condition. We were advised that the route through Piggs Peak and Matsamo/Jeppes Reef border post is the most scenic and we indeed enjoyed the scenery. As we neared Piggs Peak, the landscape reminded me of Mpumalanga in South Africa. 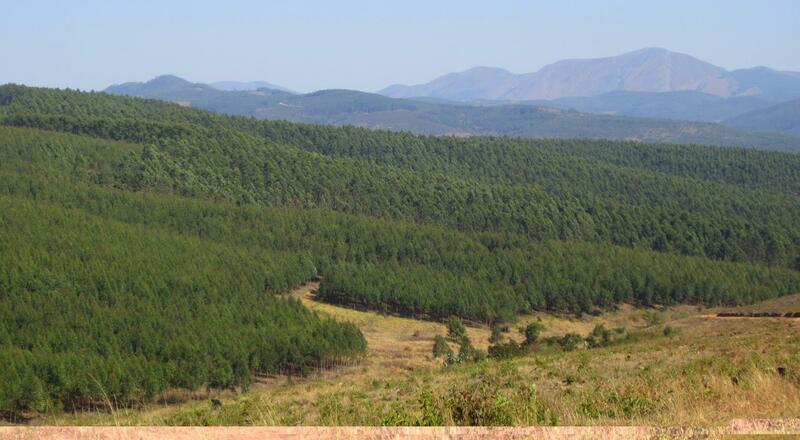 It was green, hilly and forested with hectares of gum and pine tree plantations. Unfortunately the Phophonyane Falls were non-existing due to the prevailing drought. As we neared the border, we were surprised by large citrus orchards and banana plantations around Ngonini. I was pleased by the little I had seen of Swaziland and traversing this little kingdom was definitely worthwhile. From there we were only a short way from the Kruger National Park. Thanks for the information Thomas. I checked and see that the camp is already on our maps! Lekker saam gekry dankie julle.